How easy it is for us to misrepresent the Christian life. How easy to imply that life is filled with joy with no place for sorrow. How easy to sing, Through the day of joy and sunshine, rather than, Through the night of doubt and sorrow.. but sorrow is the indispensable lot of the believer, and pain is the essential ingredient of the child of God. The process of sorrow and pain and disappointments and grievings, effects the sanctifying, sweetening, ennobling grace upon grace upon grace. Grace that transforms us body, soul and spirit into His likeness: That you may be wholly sanctified. 1Thes.5:23. The purposes of Christian suffering are manifold. The process of Christian suffering is the refining of the soul. The product of Christian suffering is a likeness to Jesus:- that Christ be formed in you.. that Christ be formed in me. If the understanding love of the Lord is to be shed abroad through your mean life.. if you long for patience of spirit and humility of heart, you must needs be tried in the fires of suffering. 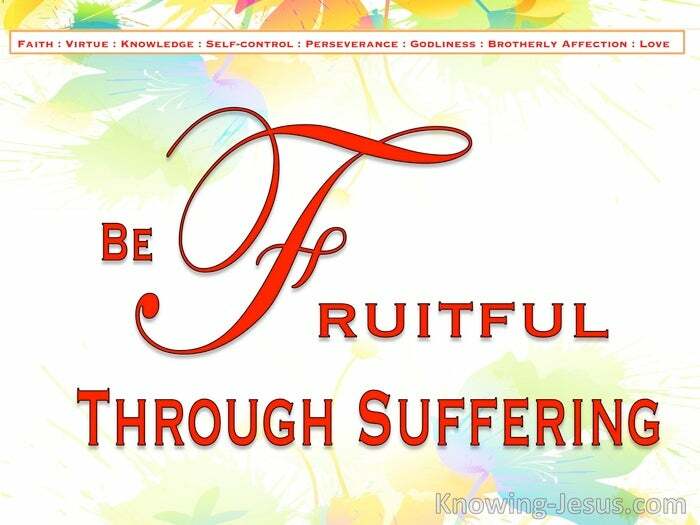 If you desire to be fruitful.. to bestow on others His gentleness and grace; His compassion and mercy; His long-suffering and goodness; His love.. you must learn through tribulation and trial – you must learn through pressures of circumstances. But the purposes of your suffering and the process of your refining, reach ever upward and ever higher.. from fruit to more fruit to much fruit, until purity of heart and godly righteousness become the inner clothing of your heart – and the outward garment of your being. And still the fires of affliction and the furnace of adversity are heated. They are heated seven times hotter… where not only life’s little actions and the words of your mouth are scrutinised by Purity’s eyes of refining flame, but thoughts of the mind and motives of the heart – are squeezed through His mangle of purification. Deep in fallow soils of past experience, and oft-times found lurking in dark corners of the soul, are polluted attitudes; deep resentments; concealed rebellion; hateful anger. Deep in the dungeons of our forgetfulness, are ofttimes repressed wounds from past pain:- Pain from rejection; criticism; indifference; loss. Pain upon pain upon more pain. But one by one through the purifying process of His sanctifying grace.. day by day through the grinding mill-stone of His love.. little by little the rough-edged rock is smoothed. The storm-tossed pebble on the storm-tossed beach becomes a polished gem, as rough edges of our old nature and carnal attitudes are smoothed away. And past pain is soothed with His healing balm – as Christ is formed in you. 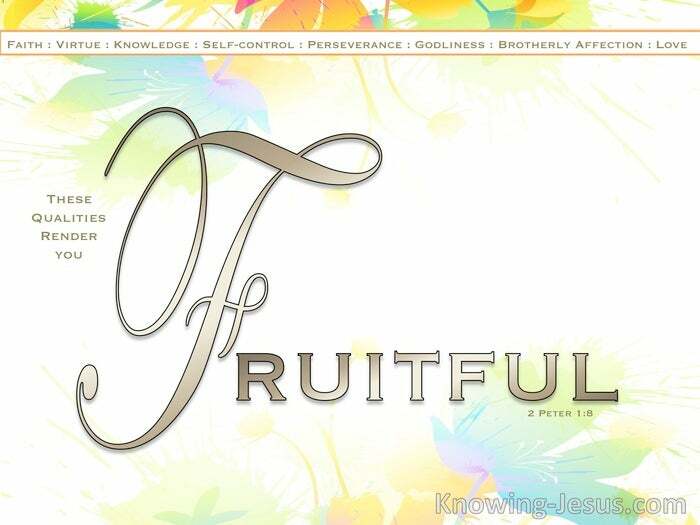 So that you may be fruitful.. so that you may bring forth fruit, more fruit, much fruit.